Former Governor berates national assembly over Nigerians plight – Royal Times of Nigeria. A former Governor of Kwara state, Chief Cornelius Adebayo has berated the current members of the National Assembly over their insensitivity to the plight of the citizens who voted them into office. Adebayo who was also a Senator from Kwara during the second republic made this condemnation in llorin the Kwara state capital while speaking with newsmen. The former lawmaker claimed that the present legislators have concentrated more on their personal conveniences despite the poverty Nigerians are going through. According to him, the situation is worse now that the nation is undergoing economic recession when several Nigerians are groaning in hunger, disillusionment and abject poverty. 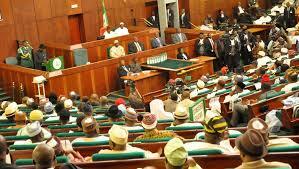 According to our correspondent, Olarotimi Oshin, Adebayo appealed to the lawmakers to spend more time on areas and issues that are of primary concern to Nigerians in order to reduce their level of poverty and frustration. He called on the judiciary to be in more active cooperation with the government and the security agencies and suggested that foreign experts could be enlisted where necessary to hasten investigations and judgment in cases relating to corruption.